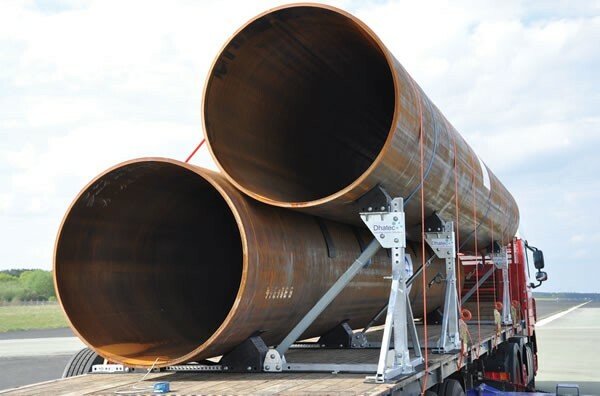 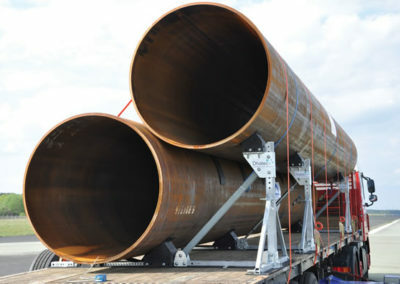 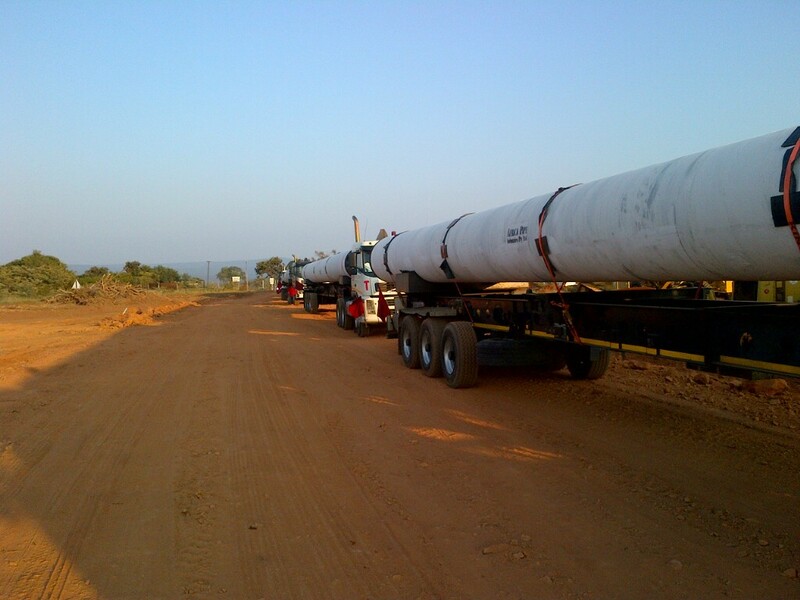 Pipe transport and Pipe laying is one of our areas of expertise where we are highly experienced and fully equipped with trucks, trailers and cranes to transport and lay pipelines. 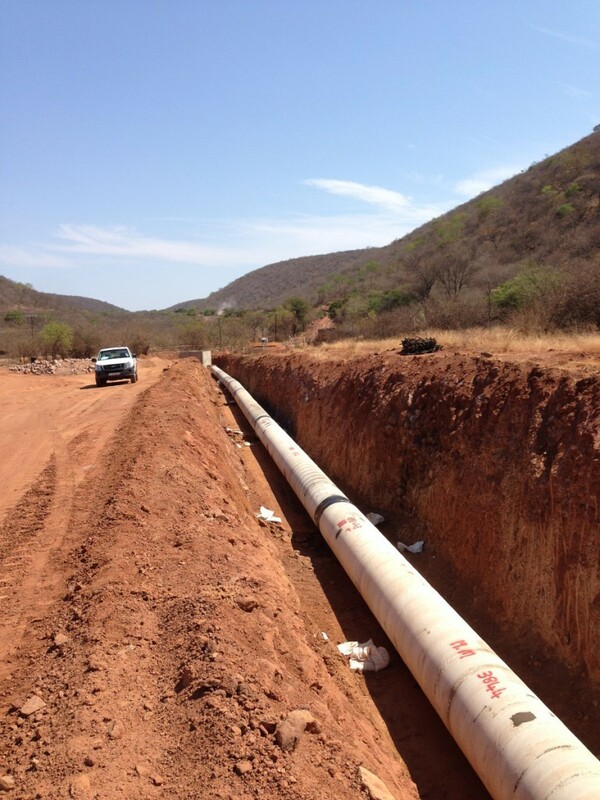 Our pipe laying teams are very experienced and operate in some of South Africa’s and Africa’s most remote areas. 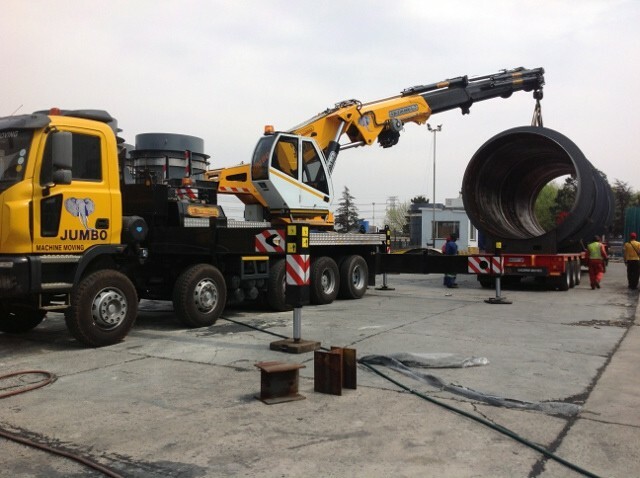 Our fleet comprises of a wide variety of crane trucks/mobile cranes suitable for any terrain including our flagship 220 T/M All Terrain mobile Crane. 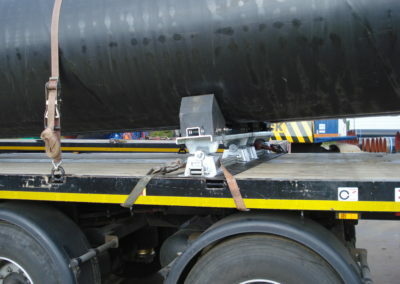 The All Terrain Fleet comprises Cranes from 20T to 220T as well as a fleet of hydraulic truck mounted Cranes from 14T to 60T. 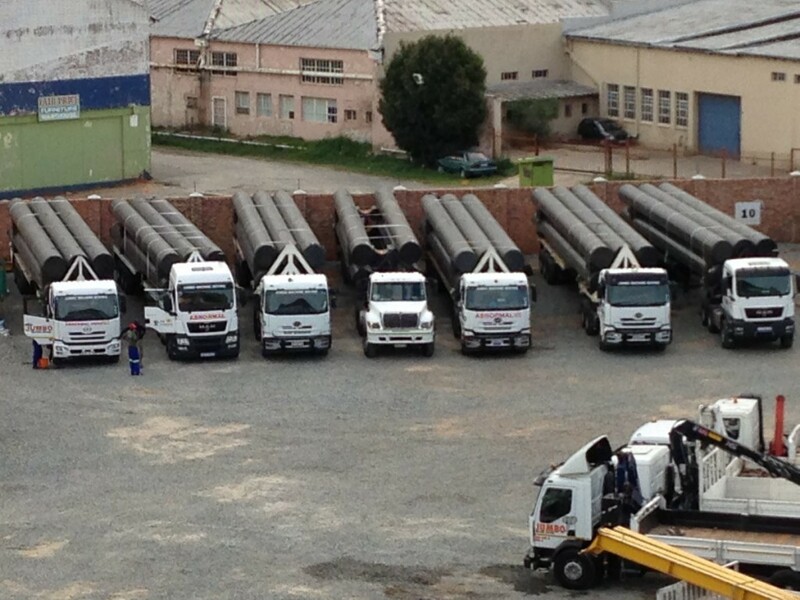 We keep a fleet of Rough Terrain Cranes including 20T, 30T and 50T Rough Terrain Cranes. 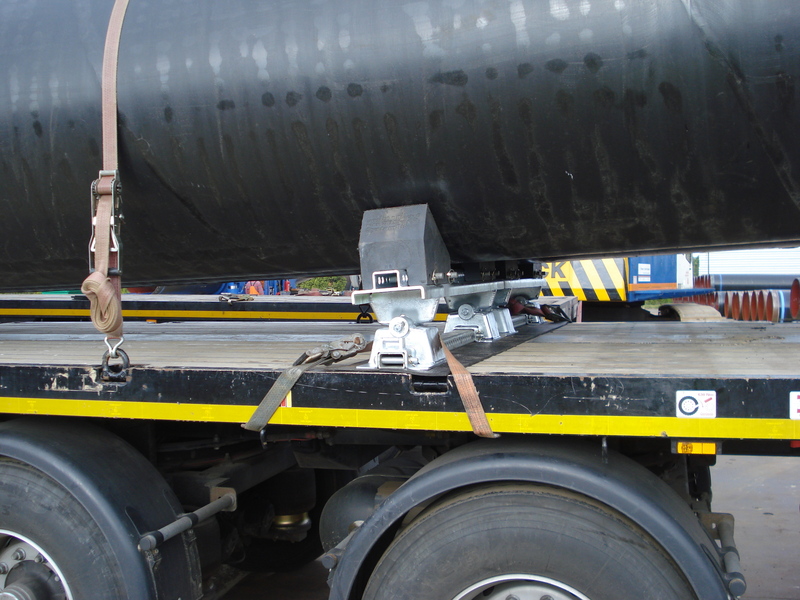 Our trailer fleet comprises numerous combinations from semi’s to extendables and Tri-axles. 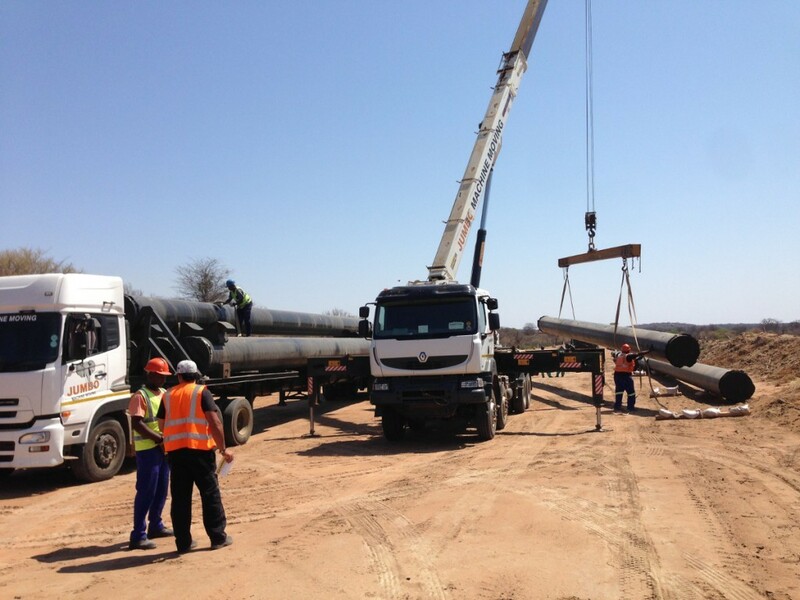 Pipelines require specialist staff and with our Red Ticket rigging supervisors and experienced rigging teams we have become the pipe transport and pipe laying contractors of choice on some of South Africa’s most demanding Contracts.